Russia has long played an influential part in its world of Islam, and not all the dimensions are as widely understood as they ought to be. 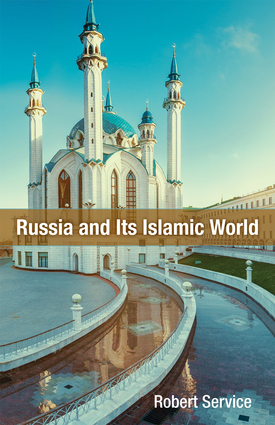 In Russia and Its Islamic World, Robert Service examines Russia's interactions with Islam at home and around the globe and pinpoints the tsarist and Soviet legacy, current complications, and future possibilities. The author details how the Russian encounter with Islam was close and problematic long before the twenty-first century and how Russia has recently chosen to interfere in Muslim states of the Middle East, building alliances and making enemies. Service reveals how some features of the present-day relationship continue past policies; others are starkly and perilously different, making the current moment in global affairs dangerous for both Russians and the rest of us. He describes how the Kremlin dominates Muslims in the Russian Federation, exerts a deep influence on the Muslim-inhabited states on Russia's southern frontiers, and has lunged militarily and politically into the Middle East. Foreign Muslims, he shows, do not value the leadership in Moscow except as a means to an end; Putin's pose as a friend of the Islamic world is no more than a pose—and a hypocritical one at that. Robert Service, a noted Russian historian and political commentator, is a senior fellow at the Hoover Institution and a fellow of St Antony's College, Oxford. His research interests concern Russian history and politics in all its aspects, from the late nineteenth century to the present day. Service was awarded the 2009 Duff Cooper Prize for his biography Trotsky (Harvard University Press, 2009).